Jeb Bush has been working on some really good comebacks to burn Donald Trump at the Republican primary debate on Wednesday, according to The New York Times. (The Times refers to these as “pointed responses.”) Trump has delighted in calling Bush “low energy,” and Bush has made the grave error of acknowledging it’s getting to him. An unnamed Republican told Politico’s Mike Allen that it stings because “It’s like he’s saying he’s low T.” But Bush’s low-energy problem goes deeper than the quality of his zingers. In fact, a linguist predicted Bush might face this kind of criticism before Donald Trump even got into the race. The way Jeb! talks makes him sound like he’s bored. Even worse for Bush, Fought says, is that there’s not a great way for him to counter the attack. Fought borrows from Mike Huckabee’s campaign book, which divides people into Bubbles (Coastal Americans who eat fancy things like arugula) and Bubbas (Middle Americans who eat earthy things like grits). In Fought’s linguistic analysis, the candidates have picked one or the other, and express this identity with the way they speak. Bubbas show more emotion with a wider pitch range, and have more of a regional accent. Bubbles show they are more rational with a smaller pitch rage, and regional differences in their speech have been educated away. Jeb and George W. Bush sound quite different despite growing up in similar circumstances—“It’s not like one stayed home and ran the farm and one went to college,” Fought says. But Jeb sounds more Bubble and George more Bubba. Fought suggests that Jeb Bush is moderating his speaking style (consciously or not) to sound more competent and less emotional than his unpopular brother. And Liberman’s analysis of the words Bush and Trump employ gives more insight into the Bubble/Bubba dichotomy. 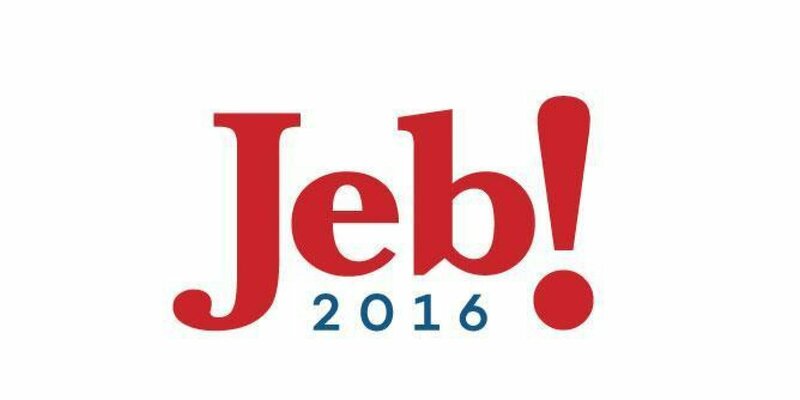 Jeb uses more words. Liberman’s analysis of the words each candidate uses most often offers some insight into what issues are shaping the campaign: Trump talks about China, Mexico, and himself, while Bush talks about strategy, growth, and ISIS. Liberman created this nifty chart showing which words each candidate favors far more than the other. Bush says “rather” and “formidable” a lot, for instance, while Trump plays it a bit more monosyllabic.